This is by far one of the best cleansing products out there on the market. Try it and you’ll believe this too. How we ever lived without the Elemis Pro-Collagen Cleansing Balm is a mystery to us (obviously not to be taken literally!). Every week we recommend a beauty product that you should try, because we love and trust it, but so far this pot of gold is probably our favorite to date. This cleansing balm, for practicality is fantastic, after wiping of the surface of your skin at the end of the day to take off the majority of your make up, use a peanut sized portion and warm between your fingers and massage into the whole of your face. This melts all the dirt away, and smells incredibly relaxing. Once you’ve given yourself a good face massage, use the towel with warm water on to gently wipe away everything. Moisturising, and exfoliating at the same time. You can repeat morning too. Fantastic for sensitive skin and for helping reduce and prevent the signs of ageing. 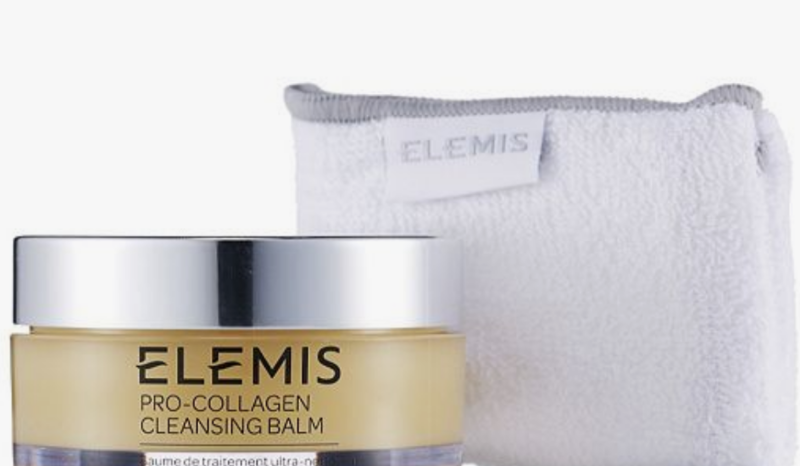 Shop The Elemis Pro-Collagen Cleansing Balm here.